It's the little places that make a neighborhood function like a neighborhood. Bodegas and other small, affordable markets are vanishing fast across the city. Here's another. 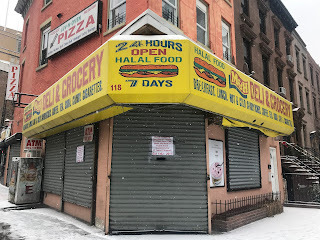 Mike writes in: "I thought you might be interested in the closing of the M&H Deli (bodega) on Dekalb Ave and Saint Felix Street in Fort Greene, Brooklyn. 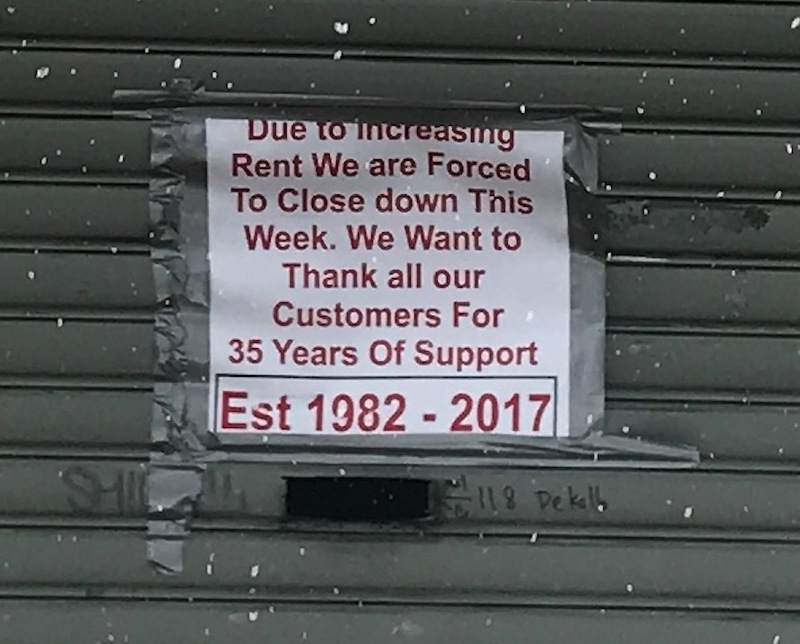 Closing after 35 years due to rising rent, per the sign. It was your pretty typical bodega serving the community and the Brooklyn Hospital across the street." Once again, it's not due to lack of business. It's not the Internet. The sign makes the reason clear. You mean the real reason people are shopping online is because there are fewer and fewer actual physical stores left due to having to close on account of increasingly unaffordable rent? So using the internet as an "online store" is not always necessarily a "free choice" matter? Always used to stop at this deli before I went into the park. 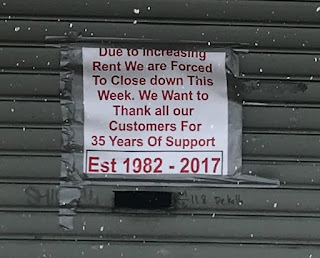 Sad to see it close. @Tal - that's circular reasoning. If people shop online then there are fewer stores or is it reverse?